Read the explanation notes online to find out why your claim was not approved and how you can resubmit. Can't login? Troubleshoot that here. 3) You will be presented with a page with four boxes. 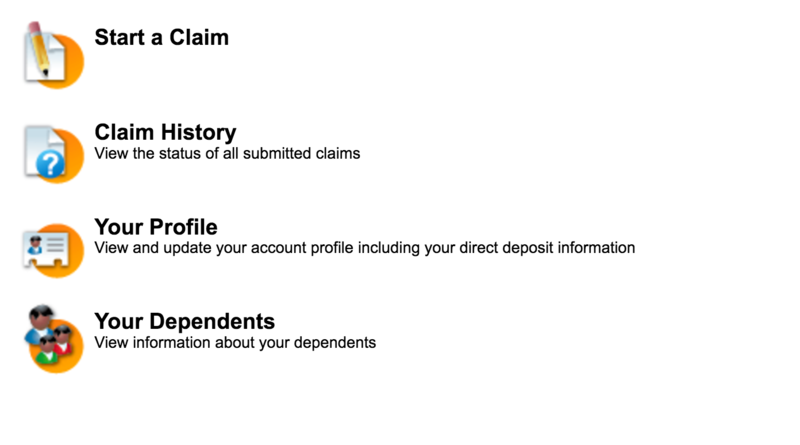 Under Processed Claims, locate your claim number and click on it. 4) Read Your National HealthClaim Explanation of Benefits. This document goes through each expense that you submitted and includes notes left by our team confirming why any expenses were rejected. There is also help on how to resubmit expenses (if eligible). Quick Tip: Are we asking you to send us a 'detailed Explanation of Benefits'? Click here to learn what that means. Once you have reviewed all our notes, if you still have questions on why your claim was not approved you can contact our support team at support@nationalhealthclaim.com or call toll-free: 1 (866) 342 5908 Monday – Friday 9:00 AM – 5:00 PM MST.